NBC has given a straight-to-series 13-episode order to the David Duchovny–led Aquarius, the network announced today. 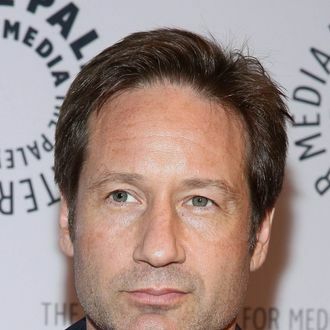 The show is set in the late 1960s, and Duchovny plays an LAPD sergeant with a “complicated personal life” who discovers he is investigating a young Charles Manson. “The twists and turns of a complicated undercover operation will lead Duchovny’s character and his young partner to the brink of Manson’s crimes that will eventually lead to the Tate-LaBianca murders in subsequent seasons,” according to NBC’s optimistic press release. Aquarius comes from John McNamara, whose previous work includes the before-its-time Profit and the recent Prime Suspect reboot. Just because Mad Men is ending doesn’t mean your ‘60s fascination has to!